Beach volleyball is so much more than bikinis and beers on the beach. 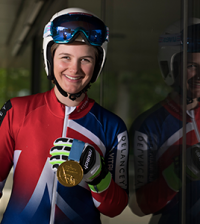 I met up with GB stars Zara Dampney and Lucy Boulton as they showcased this dynamic, technical and surprisingly tricky sport in the heart of London. Ok so there were bikinis… and beers. But that does not in any way lessen the intensity and athleticism of this fantastic sport, honest. 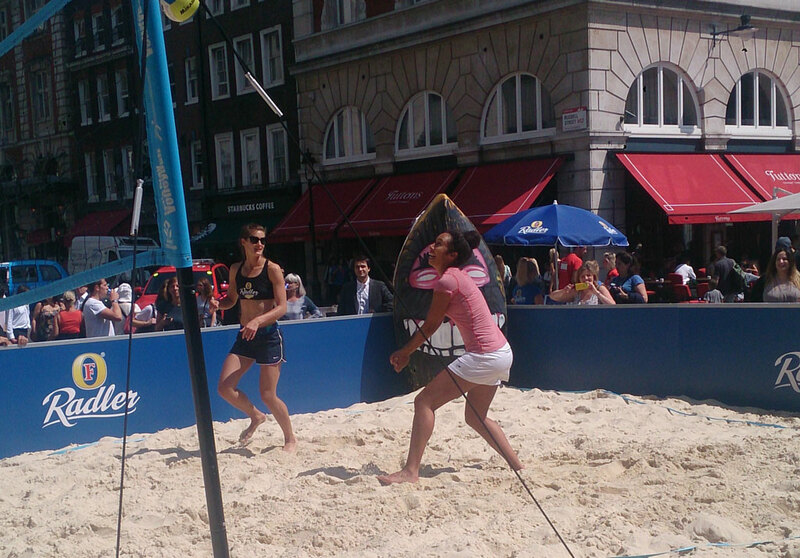 With Fosters Radler as a key sponsor for the GB beach volleyball team the presence of alcohol is unavoidable, but with a packed crowd at the pop-up beach in Covent Garden, I abstained from sampling the tempting lemon-flavoured beer. I needed my wits about me if I was going to try beach volleyball for the first time in front of throngs of tourists. After two minutes on the sand court I realised that this is a game that takes a hell of a lot of practice. No matter how fit or sporty you may be, there is a real depth of technique needed in order to play this game well. I was on a team with Zara, who tried desperately to teach me the basics – I learnt how to hold my hands to hit, to push through my legs to generate power, to dig and spike. But as I smashed the ball indiscriminately into innocent bystanders – elderly tourists with cameras, small children carrying ice creams – I realised that my main concern was spacial awareness, I had absolutely no idea how much power I was putting behind the ball. Something I hope will come with practice. – Moving on sand is a fantastic leg work out, forces you to engage your core and burns more calories than running on a flat surface. – The sand makes it low-impact, so it’s much kinder to your knees and ankles than netball, running or hockey. 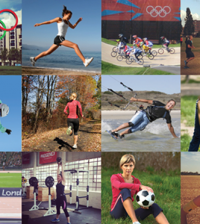 – Hand-eye coordination and mental agility are vital tools to play the game well. With regular practice you’ll see a vast improvement. With young women crying out for more variety in their options for sport, surely beach volleyball is a perfect option to draw in a young and enthusiastic hub of participation. 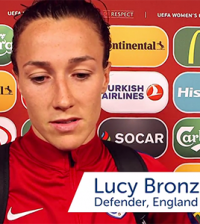 Zara Dampney certainly thinks so, ‘It’s a very social sport, and I think people like it because it’s a little bit different. If girls feel like they’re not very good at netball, gymnastics or hockey — I think it’s just another option, and the more options the better. Zara’s point is a valid one — accessibility when you need tons of sand to make the game happen becomes quite complex. This isn’t just a case of jumpers for goalposts – the actual logistics of providing sand courts across the country is neither simple nor cheap. I have to agree with her. The pop-up event in Covent Garden was a fantastic way to boost awareness of beach volleyball and make sport accessible for people who may have never picked up a ball in their life. Tourists and Londoners alike got to experience a brand new sport first-hand and be inspired as Lucy and Zara showed what the sport is supposed to look like. 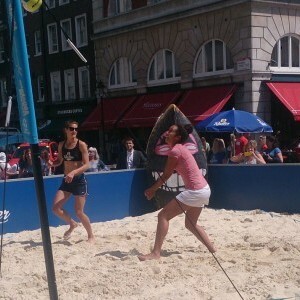 Team GB stars Zara Dampney and Lucy Boulton are working with Foster’s Radler to campaign for a world with more beach volleyball #GoodCall visit facebook.com/fosters for more information.